With over 16 years of culinary experience, Chef Jeremy Coco's innovation and experience in the foodservice industry can meet your culinary needs. We pride ourselves on providing meals for gatherings where the focus is on quality and hospitality. 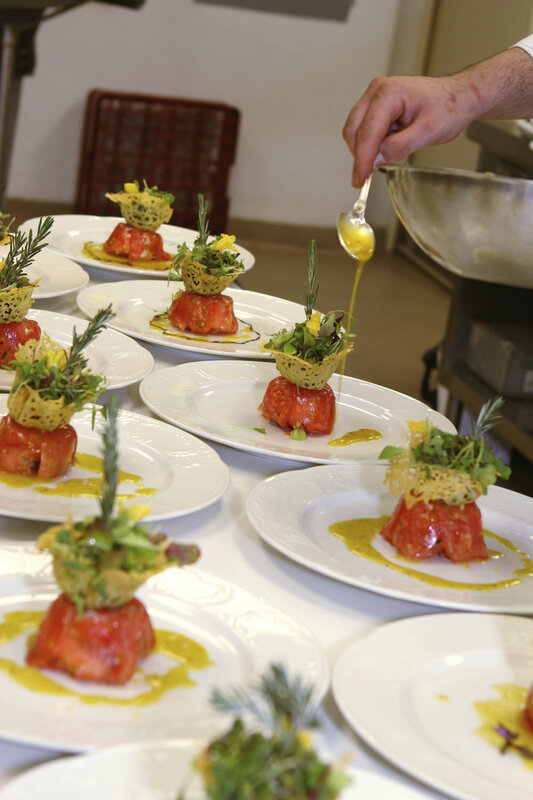 Through the use of customized menus consisting of fresh, hand-selected ingredients, these catered events are sure to meet and exceed expectations. Customized menus allow for flexibility when it comes to creating specialty menus to accommodate many of the dietary needs, which include but not limited to: gluten free, vegetarian, vegan, low sodium, low fat, and sugar free. Various options from which to choose may be found below. However, if you do not see exactly what you are looking for, please contact us so we can make your thoughts and ideas a reality. We treat each event as a "one-of-a-kind" event, and we understand that there are limitless possibilities for one to host that "special occasion." Whatever the occasion, we can create a delicious menu designed to tantalize the taste buds with assorted hors d'oeuvres and bite sized appetizers designed with your guests in mind. Whether it be a child's baptism, a grandparents 100th birthday, or anything in between, celebrations are always more enjoyable when there is delicious food to compliment the great company of others. 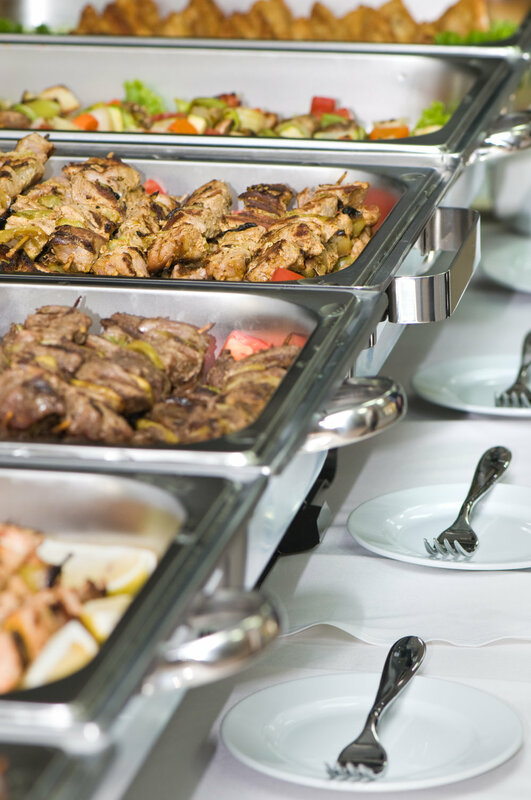 Whether your occasion is a sit down dinner, customized buffet, or a passed hors d'oeuvre cocktail party, we can get the job done.